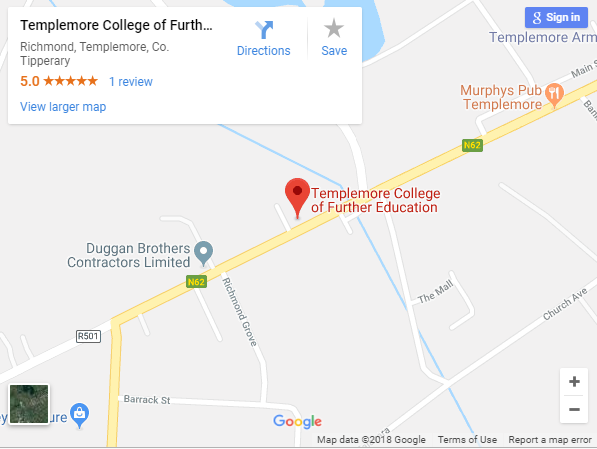 Another busy year for Sports, Nutrition and Exercise students in Templemore College of Further Education, with weekly trips to local sports facilities including the Holycross GAA club gym and Templemore Badminton Club. The gym in Holycross provided the required equipment and space for students to learn about cardiovascular training and resistance training using machine weights and free weights. Utilised by our students for the first time this year, the badminton club has proved to be an invaluable facility in which a wide range of teaching and learning experiences are possible. Students have the space and comfort to improve their sports and fitness skills, along with learning valuable teaching and coaching skills which will be essential in their future careers. Students learn these skills in order to prepare for work in coaching and teaching environments, where they can confidently and competently provide exercise and physical activity opportunities for all members of the community. Through the study of Adapted Physical Activity, students are enabled to learn the skills required for providing sports and exercise experiences for children and adults with a wide range of disabilities. Activities on the course range from aerobics, to circuit training to fitness testing. Classroom based learning focuses on sports nutrition, safety and health at work, the sports and recreation sector, communications and teamworking. Students also undertake 60 hours of work experience throughout the year, which was greatly supported this year by sports clubs, leisure centres and schools around the county. Currently, two Sports, Nutrition and Exercise students are amongst the group of TCFE students undertaking work experience in Tenerife, thanks to the EU funded Erasmus+ work experience programme. The class of 2018 have now come to the end of their time in TCFE, with many students planning to continue their sports studies at a university or IT. Waterford Institute of Technology supports our graduates each year by offering places on their sports courses reserved for TCFE students. Apply online now for remaining places for the 2018-2019 college year! Andrew Hayes was this year’s recipient of the student of the year award for Sports, Nutrition and Exercise. 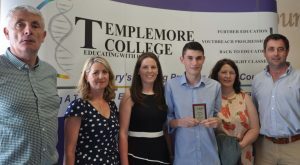 Andrew excelled in his studies throughout the year and his hard work, determination and commitment to all aspects of his course were praised by teachers and students alike.